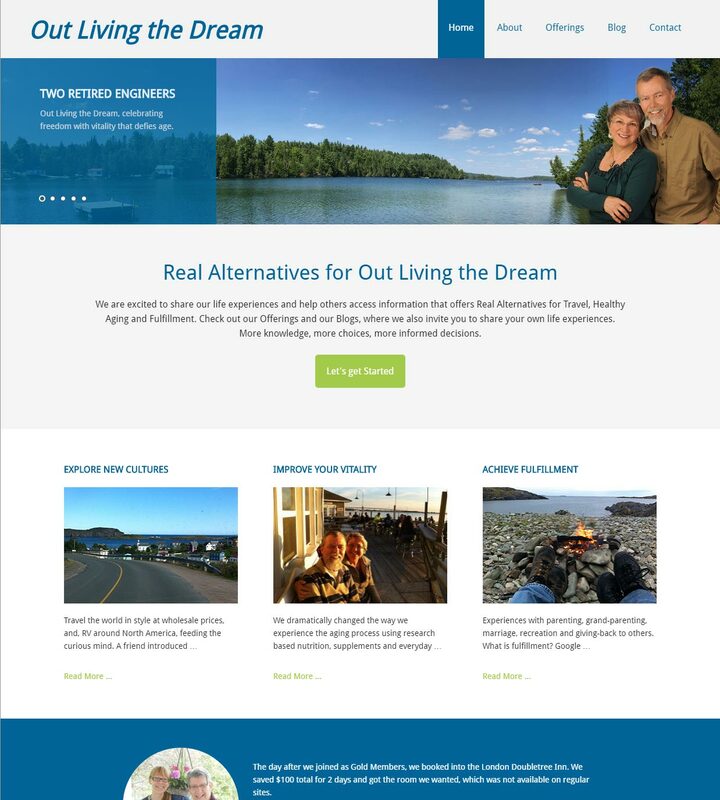 Rob and Cille are two retired Engineers who wanted to share their life experiences and help others access information that offers Real Alternatives for Travel, Healthy Aging and Fulfillment. Rob and Cille complement their experiences with several products and services so we integrated the branding to create a unique brand for their website. 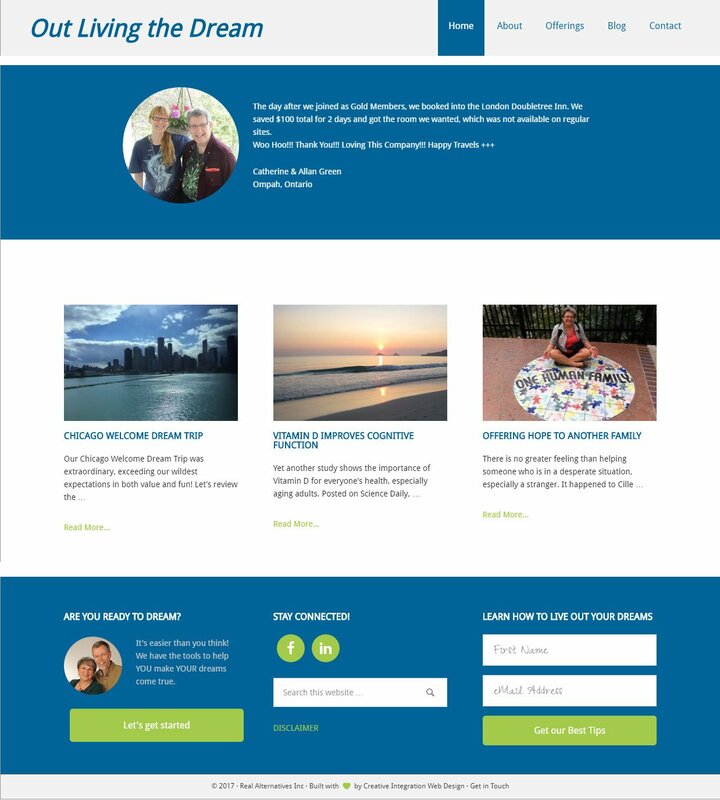 The slider on the home page beautifully highlights all aspects of what they have to offer their visitors. And of course, their blog shares their experiences in such an engaging manner that you can’t help but be compelled to read on. 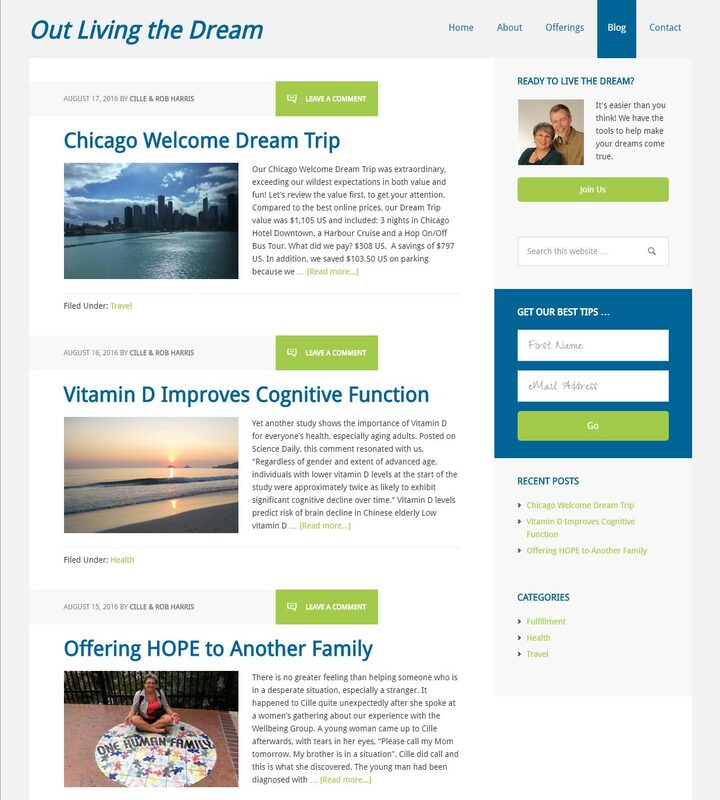 The blog also invites readers to share their own life experiences and enables them to share the information and choices on Social Media. Rob and Cille were thrilled with the seamless integration of all of their offerings including all aspects of their life. The website truly tells a story of their live and how they are Out Living the Dream. As a matter of fact, I was so compelled by their offerings that I ended up buying into the Travel package. How does it get any better than that? I get shivers looking at our developing website. I am in awe at your creativity and skill.